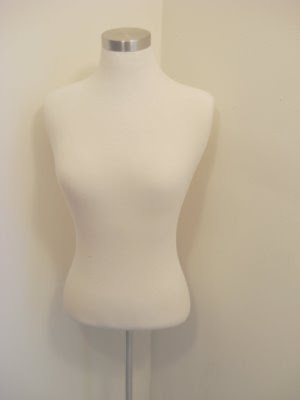 ...a new mannequin! Okay, so it was a little strange dragging a store fixture through the mall to the car. Hmmm...what shall I make first?